Although there was a slight drop in the number of green dot properties in the water map for July 2018, most residents are still committed to saving water and the City congratulates them for maintaining their efforts through the rainy season. This good water-saving performance means that a moderate relaxation of restrictions is now being considered. The latest water map for July shows that a fairly consistent number of households have been awarded a green dot on the City’s water map. A total of 397 184 households achieved green dot status in July 2018, compared to 400 538 in June. As of July 2018, 78,1% of all households were using less than 10,5kl/month. Residents can view the latest map here. This year’s Clanwilliam Wildflower Show promises an extraordinary experience for all ages. The Flower Church in Clanwilliam, where this unique show will take place, is already being transformed with the most beautiful landscapes and flower exhibitions. More than 350 different plant species will be exhibited in this church from Friday, 24 August to Sunday, 2 September. “The work done in the church is breathtaking. We simply cannot wait to show the public the abundance of wildflowers,” says one of the volunteers helping to build the Clanwilliam Wildflower Show. While the construction of the exhibitions are taking place, the area in and around the Flower Church is a hive of activities. The volunteers are doing prep work by arranging flowers such as beautiful purple violets in recycled tins that will form part of the exhibitions. In the corner of the Flower Church a huge waboom is planted in the landscape exhibition. The Flower Church has also received a fresh coat of paint. Dam levels have improved slightly over the last week and have passed the 60% mark for the first time since 2016. For the past week, dam levels increased by 1,3% to 60,1% of storage capacity. The average water consumption for the past week rose from 519 million to 527 million litres per day. The City of Cape Town is encouraged by the milestone that has been reached and thanks its water users for continuing to use as little water as possible in an effort to preserve the water that is in our dams. This remains a priority effort to ensure that we build a buffer against the summer months ahead. Today’s briefing by the Public Service Commissioner (PSC) to the Western Cape Provincial Parliament’s Standing Committee on Community Safety shockingly revealed that the Western Cape has 128 understaffed police stations, meaning that 85% of police stations in the Province are understaffed. It is unacceptable that the province with South Africa’s highest murder rate, and with the country’s highest incidents of gang-related crime is so severely incapacitated by a National Government that fails in its constitutional duty of care. Crime ravages our communities in the Western Cape because National Government continues to fail us. The Standing Committee on Community Safety agreed that they will request that the National Commissioner of Police, General Khehla Sitole and the Western Cape Provincial Commissioner of Police, Lieutenant General Khombinkosi Elvis Jula, to appear before the committee, to explain why the PSC’s recommendations to adequately staff our police stations has failed to take place. It is deeply concerning that the SAPS are well aware of the recommendations made by the PSC but have failed to respond to any of the findings highlighted in the report. In the Western Cape the police to population ratio has worsened from 1 police officer to every 385 people in 2016, to 1 police officer to every 509 people in 2018. Currently each officer is now serving on average 124 more residents than in 2016. In addition, the police to population ratio here is much worse than the national average which is one officer for every 369 residents. 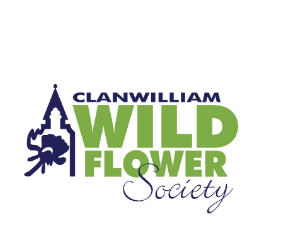 “The town of Clanwilliam is enthusiastic to make this year’s Clanwilliam Wildflower Show extra special. The excitement is contagious because everyone is so happy that we are having a show again this year,” said Alicia Erasmus, marketer of the Clanwilliam Wildflower Show. In less than a month the annual Clanwilliam Wildflower Show will be held in the Flower Church. The Cederberg region will provide the best exhibition possible to visitors. Not only the most beautiful flowers will be on show in the church from 24 August to 2 September, but visitors will also have the opportunity to enjoy a lovely variety of stalls in the town. “We are counting the days to the opening of this year’s Clanwilliam Wildflower Show. Everybody involved in the Clanwilliam Wildflower Association and who will build the beautiful flower exhibitions in the church have already begun planning to provide the best exhibitions for visitors,” said Alida Stone, chairman of the Clanwilliam Wildflower Association. Alida says more rain will be welcome to extend the life of the flowers. The misty mornings are also very good for the fields. Cooler weather and little berg winds will also be beneficial. Premier Helen Zille has called for the release of several mega-properties that can be developed for affordable housing in the Cape Town metro. The properties are owned by the national government, and are all well-located for affordable housing. Writing in her Daily Maverick column, the Premier says these properties would facilitate the kind of land reform that will build, rather than break, South Africa’s economy. “Should national government release its five large pieces of land, which consist of Ysterplaat, Culemborg, Youngsfield, Wingfield and Denel in Cape Town, it could potentially yield 93 817 affordable housing units,” said Premier Zille. “I will continue to advocate for the release of this land, for this purpose, just as I did between 2006 and 2009, while I was still mayor of Cape Town,” she wrote. The Premier said the Province was demonstrating its commitment by using a provincial piece of land – the 22-hectare site of the old Conradie hospital close to the inner city – for affordable housing on a mixed-use, cross-subsidised basis. “[The Conradie hospital 22-hectare site] is truly a game changer, because it is pioneering sustainable land reform where it is most needed. We just need to dramatically escalate the numbers involved, and for this we need large tracts of land owned by national government in Cape Town,” said Premier Zille. Dam recovery over the past few weeks has slowed down significantly, in contrast with the rapid rise in dam levels experienced in previous months. This trend shows that rainfall is very difficult to predict and that Cape Town should carry on with its amazing water-saving efforts to build a buffer for the summer months ahead. ‘It is also imperative that adequate levels of water restrictions, and the associated tariffs, remain in place. Although our situation is much improved, we cannot be careless and short-sighted. We need to ensure that we give our dams a chance to recover as much as possible. ‘If water restrictions are lowered to appropriate levels by the National Department of Water and Sanitation, the City will then lower the associated water tariffs. Restriction levels are linked to dam levels, and restriction tariffs are linked to the volume of water used by the city. This means that, if the restriction level is reduced, individual water use is expected to increase as the tariff decreases, ensuring the City receives the same total income required to maintain and repair infrastructure. The slowdown in the rise of our dam levels will therefore affect any decision to adjust the current restriction levels. ‘City officials continue to engage with the relevant provincial and national government officials and the situation is being monitored. We are grateful for the sacrifices that our residents are making and, from the City’s side, we will continue to do all that we can to ensure that consumption levels are kept as low as possible,’ said the City’s Executive Deputy Mayor, Alderman Ian Neilson. Not only does pressure management generally lower consumption by reducing the rate at which water flows to properties, it also reduces leaks and pipe bursts by better ensuring that pressure remains within levels that the pipework can tolerate, and reduces the rate of loss from leaks and bursts. Although concerted water-saving efforts by the City and residents are still visibly under way, the influence of a warm week and an especially hot and windy weekend can clearly be seen in the water consumption data for the past week. On Friday 20 July 2018, City officials, as well as officials from other municipalities and representatives from the agricultural sector, met with the National Department of Water and Sanitation to have a risk-based discussion on the water situation in the Western Cape. The meeting also considered the possible relaxation of water restrictions at an appropriate point in the near future.